2 hours well spent and a journey begun……! 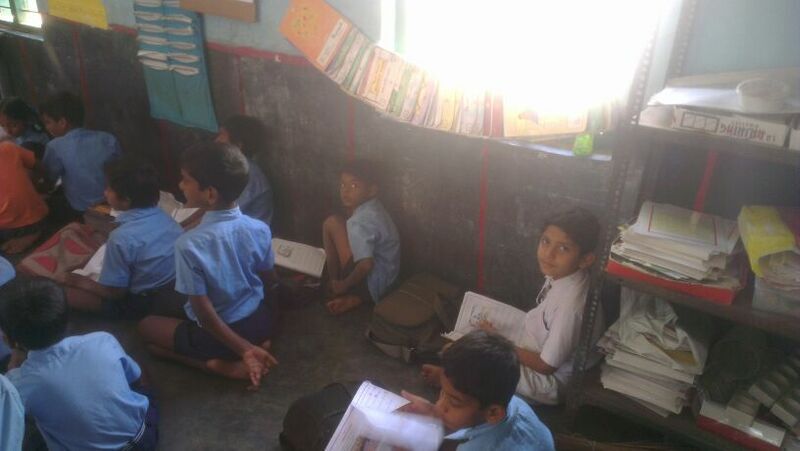 Glaring statistics from the ASER (Annual Status of Education Report) 2013 report –in Karnataka rural schools , only 40- 50 % of standard 5 children can read Standard 2 text . This and books like “What did you ask at school today?” made me want to get a more intimate understanding of the government school. The Shlok call for volunteers for teaching English and Computer Science appeared to be exactly what I wanted- Proximity to home and the possibility of committing time on a Saturday. “Was this to be an exploratory visit?” or “Would I be teaching English?” but then “I have no teaching experience!”. The diligent part of me wanted to do some homework but my best friend “no time” ensured that I landed up sans any preparation. “Observer” status was how I saw my role; Ashwiin had other ideas and plunge I did with a 3rd standard class and supportive fellow volunteers. It is true that many of the children could not read complete sentences but it is also equally true that Darshan, Lokesh and Bhargavi could write their names in both English and Kannada and we co created a game of writing our names. There was a moment where I felt ashamed of myself. I had left my purse and hand phone on the classroom floor when I was called for my teaching debut. “Would it be safe?” I wondered once I was through. I needn’t have worried as the children were definitely focused on the “classroom process” instead of my hand phone. Milk for all the students (the cynic in me wondered if it was diluted) and the children shutting the classroom windows when school was over were other images that stay with me. I have resolved to get myself the textbooks and have a lesson plan in mind for next Saturday. Perhaps help the Shlok group with teaching- learning materials and curriculum. 2 hours well spent and a journey begun……! Posted on January 26, 2014 by shlokorg	• This entry was posted in NGO, Social service and tagged education, GMPS, NGO, Shlok. Bookmark the permalink.